Una Mela e Una Pera: Salt and Pepper Pinch Bowls. A set of beautiful pinch bowls that was inspired by Italian wooden design objects from the 1960s. Fans of Enzo Mari's mod pop art graphic styled prints; La Mela & La Pera will certainly appreciate this wonderful and very stylish set of pinch bowls. 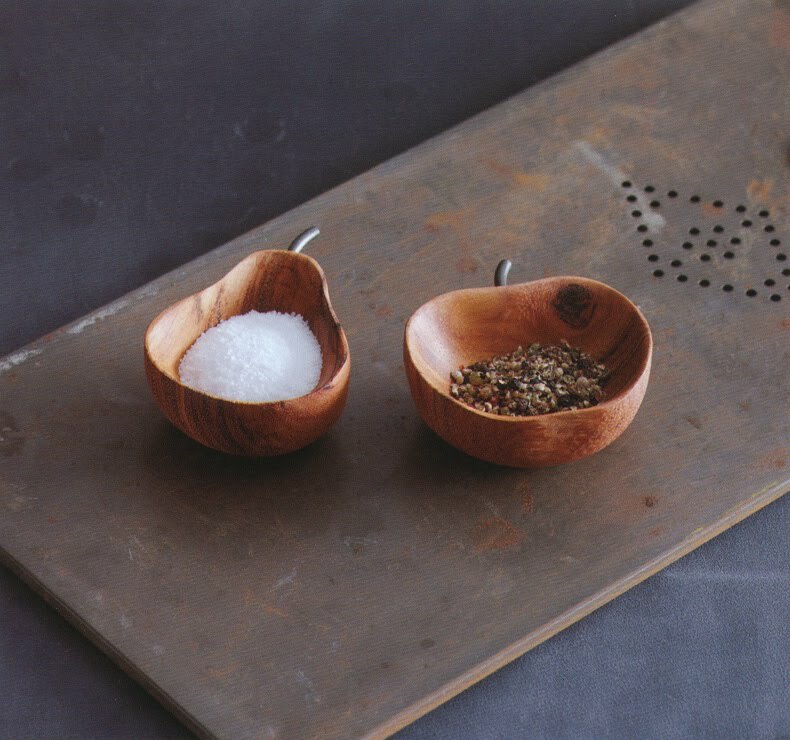 These beautiful pinch bowls are perfect to present gourmet salts, pepper corns and favorite seasonings on the dining table. These pinch bowls are also perfect for holding herbs or serving condiments. These apple- and pear shaped pinch bowls are expertly crafted from solid bayong wood and have a rich warm color. They are further enhanced with a food-save vegetable oil finish. Practical and beautiful, these beautiful salt and pepper pinch bowls look great left out on the table our countertop. This signature set makes a unique gift idea for any aspiring kitchen chef.